If you’re looking for a healthier cake recipe, a healthy birthday cake for a party, or just some healthy cake recipes for your next celebration, you’re in the right place. Cake is the centerpiece of so many get togethers, but we all know it’s not the best option health wise. Sometimes you want to opportunity to indulge, but you don’t want the excessive guilt after or a sugar rush. My oldest son was MSPI as a baby, meaning he was allergic to milk and soy proteins. Both he and I were on pretty strict dairy free, soy free diets for his first year. When it came time to make his first birthday cake, I knew I not only needed an MSPI friendly birthday cake, but I also wanted a healthier cake. While cake is fun, I didn’t want my barely one year old inhaling sugar just for the sake of his birthday. 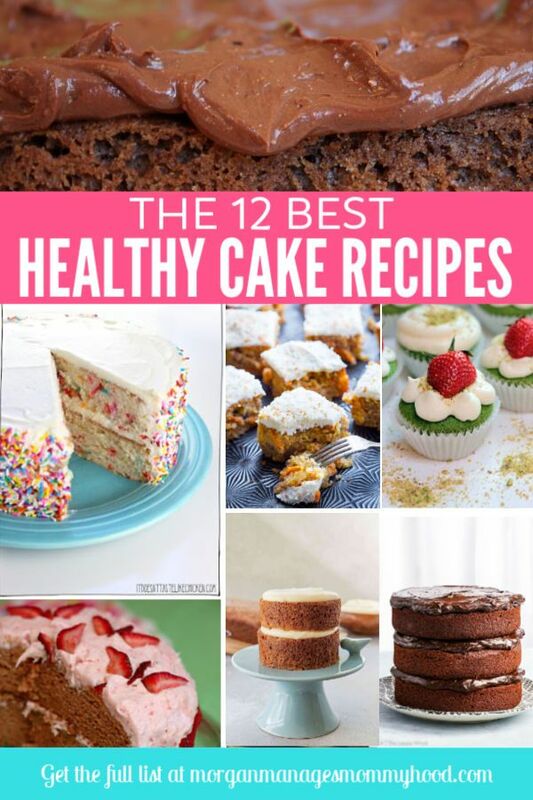 After a bit of research, I found that there are tons of healthy cake recipes out there if you just look. I loved some of them that I found, so I’ve tried quite a few over the years – from healthy birthday cakes to just healthy cake for a random weeknight. If you’re looking for a healthy cake recipe to share at your next get together, keep reading! Healthy cake recipes don’t always have to be boring! Making a healthier cake might seem intimidating, but I promise it doesn’t have to be. Here are some of my favorite tips for making healthy cake recipes. Go all fruit. Have you seen those cakes made of nothing but fruit and coconut cream or whipped cream? I’m pretty sure you can’t get much more healthy cake recipes than that! Or at least, focus on fruit. Okay, so maybe you think cake should actually be you know, cake. Try focusing on fruit – substitute some sugar or fats with something like mashed banana or apple sauce for a healthier cake. Sneak in a veg! If you know me, you know I’m the Queen of a good sneaky veg. Use veggie puree to add in some extra nutrition or shred in some carrot or zucchini. Go vegan. Vegan doesn’t automatically equal healthy cake, but it does typically equate to a healthier cake. Look for recipes with healthy fats and natural sugars. Try out an allergy friendly healthy cake recipe. Again – allergy friendly does not always mean healthy cake recipes, but more often than not, they are more mindful about ingredients. Make it whole grain. Keep it extra simple by subbing white flour for a whole wheat variety. I’ve use oat flour in the past! This paleo chocolate cake is both a healthy chocolate cake and super decadent! Healthy Apple Muffins with Cream Cheese Frosting These healthy apple muffins are packed with grated apple and topped with a healthy cream cheese frosting using Greek yogurt and cream cheese. This healthy cake recipe is even breakfast approved. The Best Paleo Chocolate Cake I know very little about being paleo, but this healthy chocolate cake recipe doesn’t look healthy or paleo or dairy free or really.. anything but delicious. Watermelon Cake How about a cake made of nothing but fruit and coconut cream. No sugar. No flour. Nothing weird. How fun would that be to slice into at a summer barbecue? Vegan Vanilla Cake This one has no milk or butter and uses olive oil as a healthy fat. You could probably substitute almond milk for the soy milk to make it an MSPI friendly smash cake. Healthy Banana Cake How about a banana cake? This choice has no refined sugar, no butter and is topped with a healthy vegan whipped cream – sounds like a perfect healthy first birthday cake! Spinach Cake Who said cake can’t have veggies? This bright green cake has some sneaky veggies in it, but I have a feeling your kids will be okay with it – I mean. it is still cake, guys. Vegan Funfetti Cake My choice for cake is almost always funfetti. 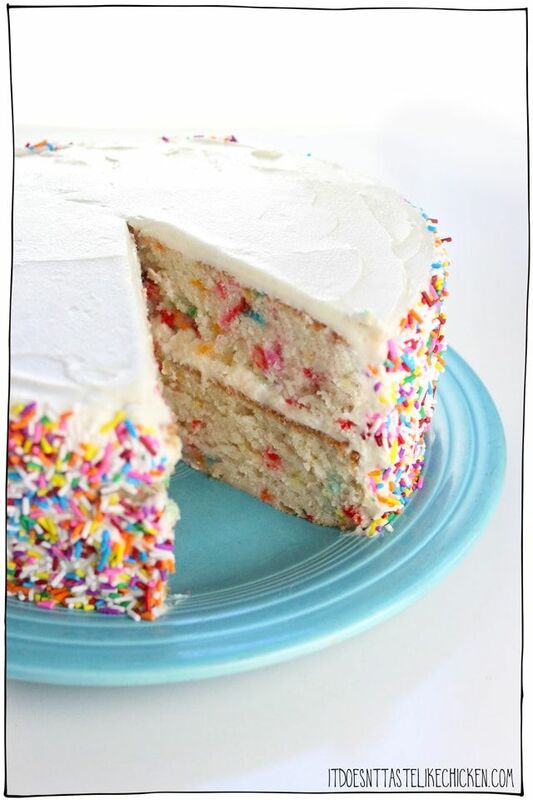 There’s something so magical about cake liberally dotted with rainbow sprinkles, you know? MSPI Friendly Birthday Cake This is the exact healthy birthday cake I made for Ryan’s first birthday – it has no dairy or soy! Maple Carrot Sheet Cake Honestly, the name of this cake alone sounds so incredibly decadent! This healthier cake recipe has no refined sugar and can be made without a mixer. 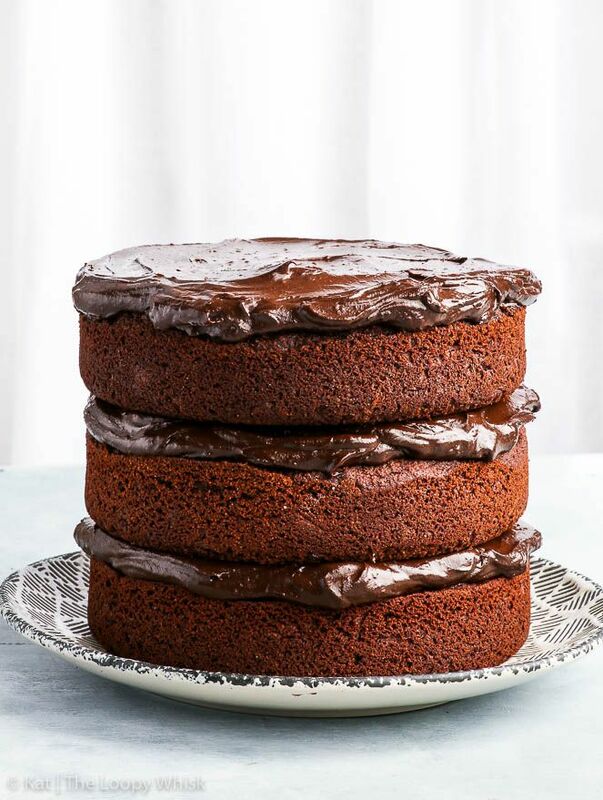 Healthy Chocolate Cake Healthy chocolate cake might sounds like an oxymoron, but this one looks absolutely perfect! Bonus – the entire cake has only 2/3 cup of sugar! Strawberry Birthday Cake This cake is absolutely beautiful – and gets it’s color from strawberries! This bright pink healthy cake would be the perfect cake for a princess. It’s also gluten, egg, nut, and dye free. This funfetti vegan healthy cake recipe is both fun and good for you! Use less frosting. Take advantage of the ‘naked cake’ trend’ and only frost the top of the cake and in between the layers. You’ll have a trendy, beautiful cake with less sugar. Opt for cupcakes. While it might not be one of the healthy cake recipes, eating less cake is still a way to have healthier cake. Even better, use mini muffin pans to make your cupcakes so you can be even more in control of portion. Try fruit fillings. Rather than custard, ganache, or frosting as a filling, try fresh fruit or no sugar added jams to put in between the layers of cake. Use better fats. Try subbing coconut oil for butter or olive oil for canola oil. Even small changes can make a big impact! Use a natural sweetener. Instead of processed white sugar or brown sugars, try something like maple syrup or honey. But remember, babies under 1 should not ingest honey. If you’re making a healthy smash cake, I would go maple over honey. Okay so tell me – do you like healthy cake recipes? What is your favorite cake flavor? Let me know in the comments!